Some sprigs of mistletoe that some elves hung up around downtown Vancouver are turning the West End sidewalks into hot places to hang out this Christmas. 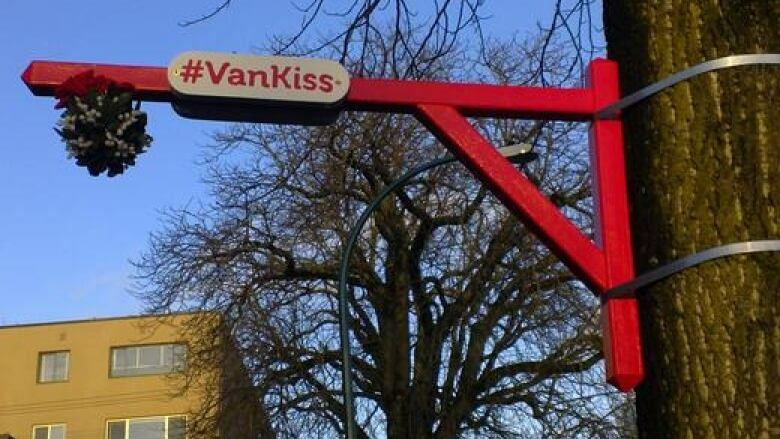 A group that identifies themselves only as #VanKiss Elves first tweeted about the mysterious mistletoe on Dec. 12. Since then, sprigs and kisses a-plenty have been photographed and retweeted on social media.